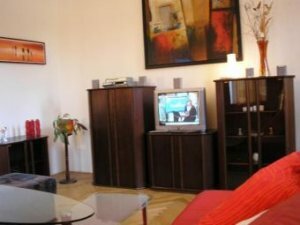 Self-catering Studio Bratislava TOURIST APARTMENT SLOVAKIA is located on the Old bank of Danube in centre Slovakia tourism. In the close vicinity are Bratislava Port and Slovak National Museum. Flat is large, renovated and bright. It is just a few minutes from the heart of the Old Town. Nearby is the Castle, St. Martins Cathedral, Hotel Danube and Hotel Radisson SAS Carlton, many shops, restaurants, bars, club - Bratislava nightlife. This big Bratislava apartment for rent is suitable for single, couples and small group of up to 4 persons. 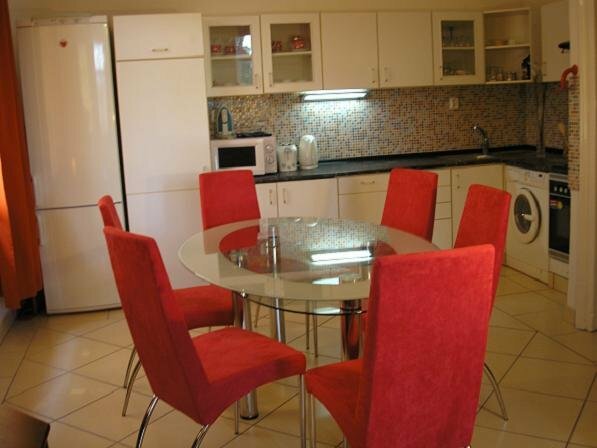 The Bratislava TOURIST APARTMENT SLOVAKIA - lodging in centre Slovakia tourism offers room and kitchen with table with four chairs, bathroom and toilet. There is leather sofa, two single beds and space to add two other beds with anatomic mattresses. The size of the studio apartment is 48 squere meters or approx. 517 square feet. The studio is located on the first floor in a building with an elevator. Nov 1st - Dec. 26th. Dec 27th. - 3nd Jan.
Prices do not include a city tax of EUR 1.65 per person per ni4ht.